This giveaway is being hosted by Tammie's Reviews, Giveaways and More, promoted by Coolestmommy's Coolest Thoughts and sponsored by US Family Guide. As a child of the late 60's/early 70's, I have a special place in my heart for Marlo Thomas. I grew up watching the "Free to be You and Me" special on TV and when I was in high school, we also did a show using much of the TV special for the stage. And now Marlo is back and appealing to me as an adult. I love the idea of learning about women who realize their dreams--no matter what their age. I haven't gotten my copy of this book yet, but I can't wait to read it. I expect I will be inspired. Keep reading for your chance to enter and win a copy for yourself. You can read Tammie's Review of the Book HERE. It Ain’t Over . 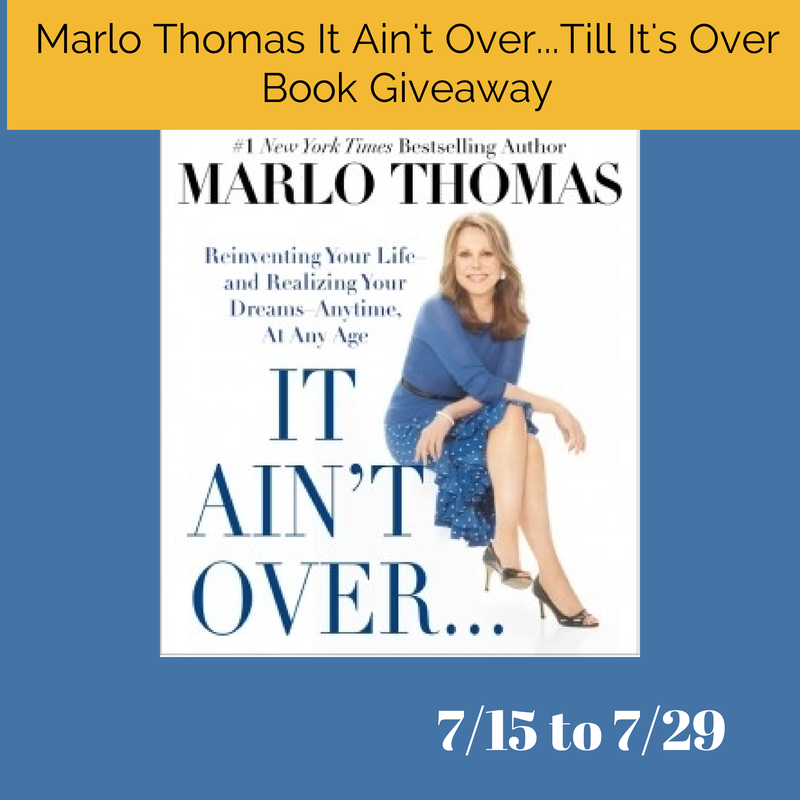 . . Till It’s Over introduces us to sixty amazing women who are proving that it’s never too late to live out a dream – to launch a business, travel the world, get a PhD, indulge a creative impulse, make a family recipe famous, escape danger, find love, or fill a void in life with a challenging new experience. Meet a graphic artist who fulfilled a childhood ambition by going to med school at age forty-two; a suburban mom whose innovative snack recipe for her daughter’s lunchbox turned into a multimillion-dollar business; a private-practice psychiatrist who convinced her husband that they should quit their jobs and take off on an exciting, open-ended, cross-country adventure – in a giant bus, no less! ; and a middle-aged English teacher who, devastated to discover that her husband was cheating on her, refused to be a victim, filed for divorce, and began the challenging journey of rebuilding her life. One reader will win a the hard cover book. 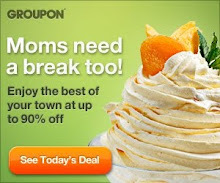 Coolestmommy's Coolest Thoughts was not compensated either by free product or payment. I have not been compensated for this post. All opinions and experiences are my own. Open to the US, must be 18+. Confirmed Winner(s) will be contacted by email and have 24 hours to respond before a new winner will be drawn. No purchase necessary. Void where prohibited by law. Entrants must only enter with either one email address, IP address and/or Facebook account, anyone found violating these rules will be disqualified. It is at the sole discretion of the admin of the giveaway if the winner has met the rules or not. The sponsor(s) will be responsible for product shipment to winner(s) of the giveaway. Sponsor will be responsible for prize fulfillment. This event is in no way associated with, sponsored, administered, or endorsed by Facebook, Twitter, Google, Pinterest or any other social media network. The disclosure is done in accordance with the Federal Trade Commission 10 CFR, Part 255 Guides Concerning the use of Endorsements and Testimonials in Advertising. For questions about this giveaway or to have me promote your product, Please email Tammie at PubRel@live.com.